Umhlanga is an affluent residential, commercial and resort town north of Durban on the coast of KwaZulu-Natal, South Africa. It is well known for the Gateway Theatre of Shopping, which is one of the largest shopping malls in the southern hemisphere. 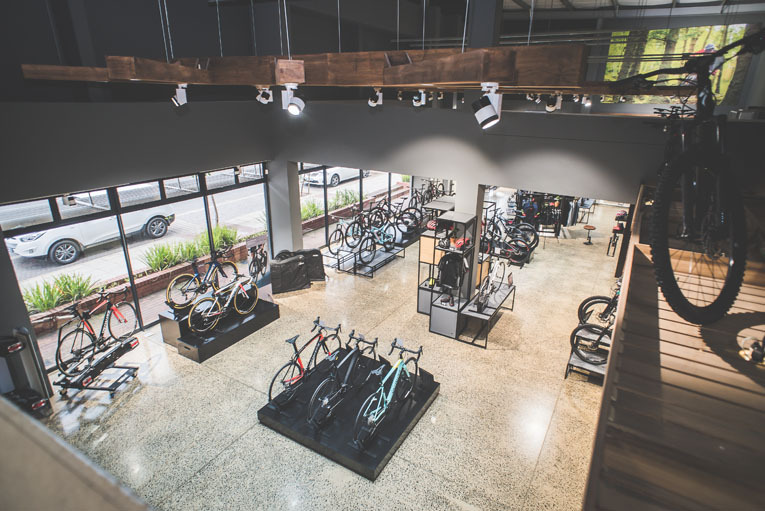 It is here where Leigh Durham, a true visionary, decided to move his bicycle store from its previous location in 2015. 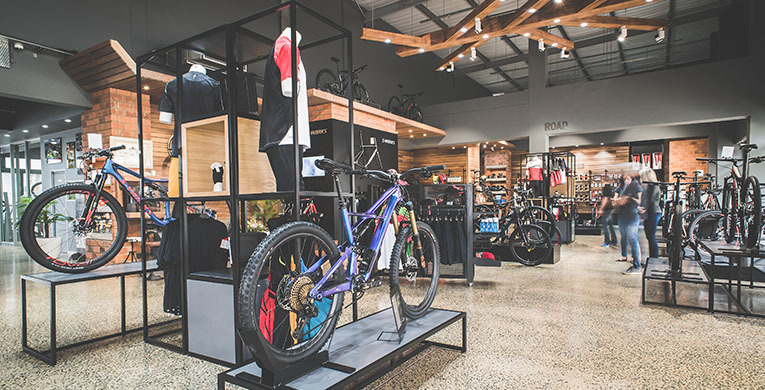 With a strong sense for business, a strategic vision, the store has grown to what it is today, an institution in cycling not only in the KZN region, but also around the country. Leigh, and his wife Susan, started this business in 1989. 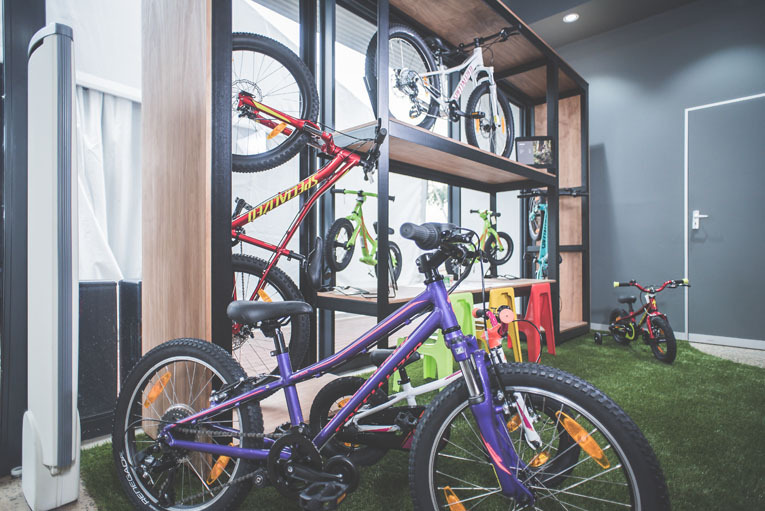 They have built one of the best bicycle retail operations in South Africa. 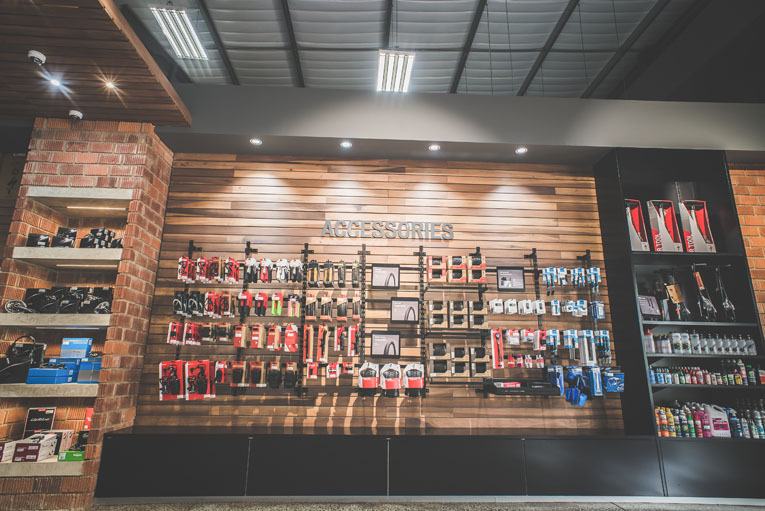 Their store is beautiful and is strategically located, just 100 metres from a Porsche Centre. For Leigh and Susan their focus is on building strong relationships. They have invested time and effort into building a strong team that feels like a family. 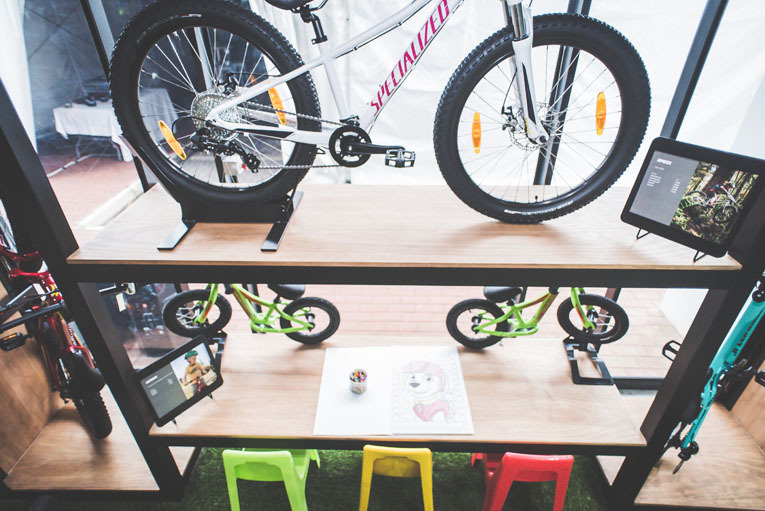 The Leigh’s Cycle Centre team is more than willing to share their wealth of experience. 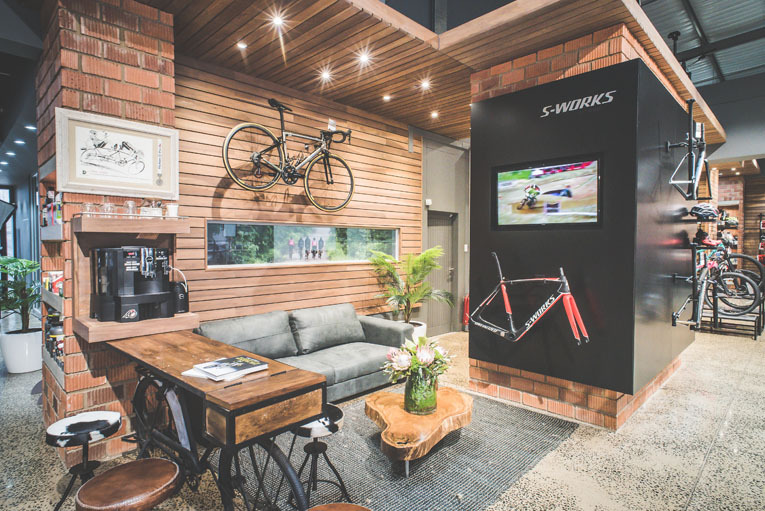 For example, Jason Hall, the Store Manager, is well known for putting together bespoke custom bicycles. This team forms part of a greater cycling community, centered around their own Cycle Club, which is open to the public. 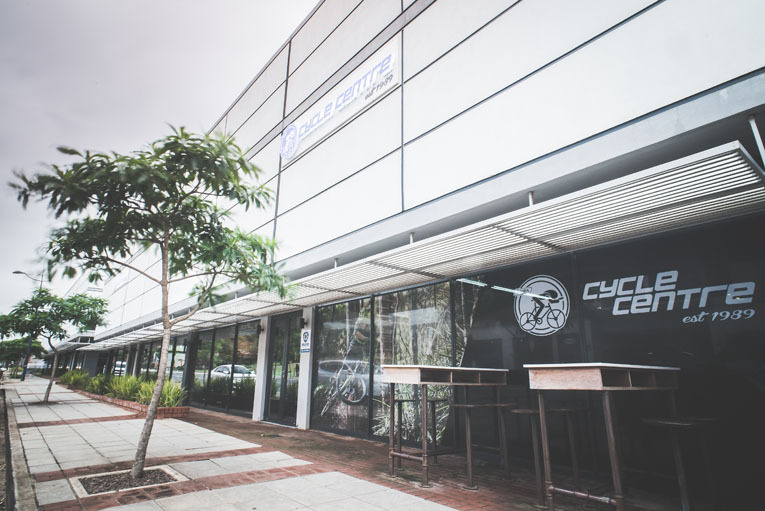 On the 16th of November, we launched Leigh’s Cycle Centre as a Specialized Bicycles Concept Store. 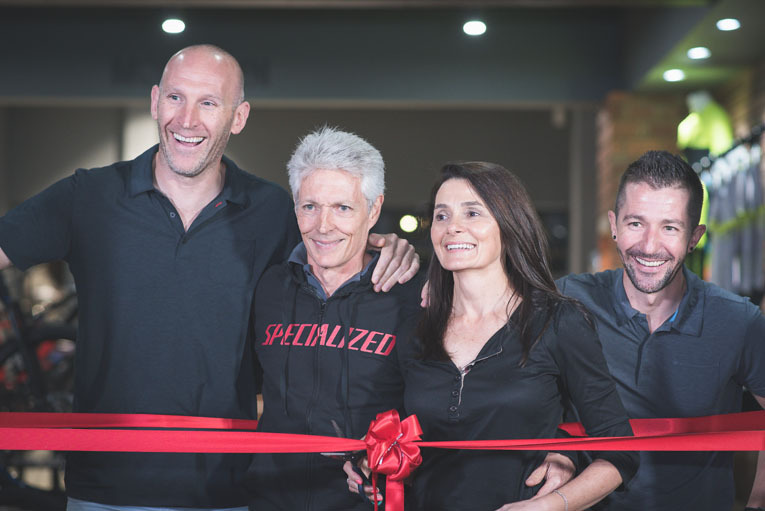 The event was not just an opportunity to showcase the newly refurbished store, more importantly it was an opportunity for owner Leigh Durham to thank a group of customers who have supported his stores over the last 28 years. The very high ceilings, the lighting and the beautiful wooden slat walls give the space a unique feel. 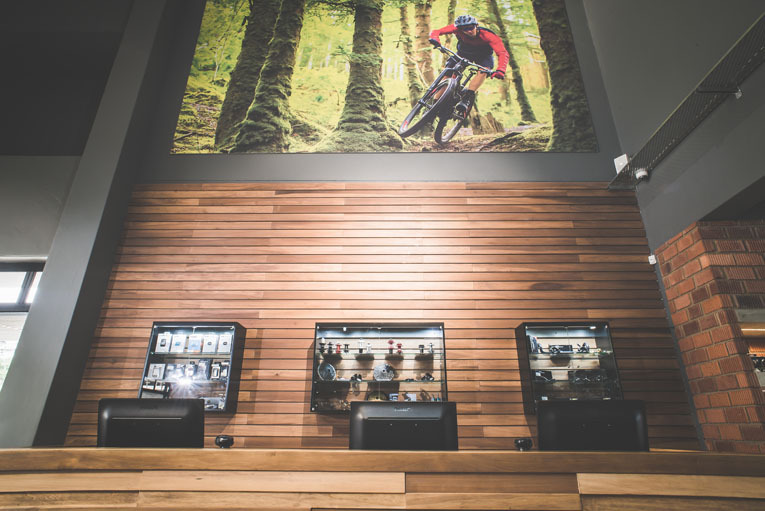 The 512 square meter store is merchandised by experience with a Road, Mountain, Women’s and Kids section. 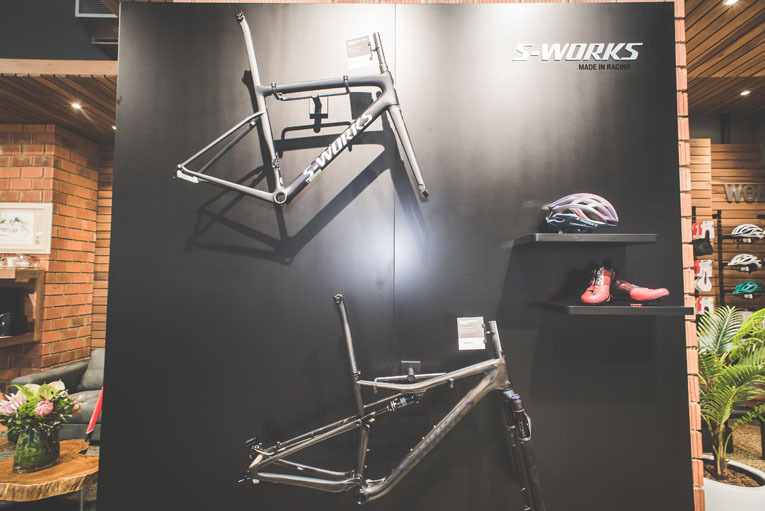 There is also a designated space for a Body Geometry Fit Studio, which they will transform in the near future, as well as a functional service center that caters for all type of riders. Leigh and Susan have worked for years supporting, building and driving their love for the sport. We wish them nothing but the best, and look forward to a strong partnership over the years ahead. Click here for the video highlights from the launch or here for more photos.